The girl who runs it is very helpful. She makes recommendations on everything. Restaurants, sightseeing, beaches. All the things that tourists need to know. The capsule was spotless, common areas were always clean. Everything was perfect. Excellent location for food and shopping. Many wild birds around but sorry if you don‘t like them, but can make you closer to nature without going to a wild place. Located in Downtown Kota Kinabalu, this hostel is steps from Atkinson Clock Tower and Gaya Street Sunday Market. 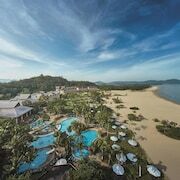 Cannot check in cause the hotel are already full after comform booked! Very good hostel with excellent and thoughtful amenities. The wonderful staff. They were so friendly and obliging. Couldn't have been better. By going with a hostel in Kota Kinabalu, you can spend less on accommodation and save more of your budget for sightseeing during your holiday. We've heard good things about the marina and other attractions in this destination, as well as activities like boating. When Is the Best Time to Visit Kota Kinabalu? 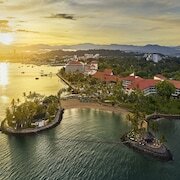 What Can I Do in Kota Kinabalu? You can find the closest airport in Kota Kinabalu (BKI-Kota Kinabalu Intl. ), 4.1 mi (6.6 km) from the city centre. Once you've arrived, you might want to use public transport to get around. If you're hoping to check out more of the area, make your way to Tanjung Aru Station to take a train.